Do you have a very attractive website with quality content? Perfect, but you still are not getting as many sales as you would like. Why is this so? Probably because your SEO strategies are not effective enough. Until you make your SEO plan more powerful, no one will know your website exists and you will not be able to build your brand awareness. Avail an SEO hosting plan, and this will be the case. SEO hosting plans are based on both traditional and nontraditional techniques to optimize a website, increase traffic and covert more leads into sales. Providers which offer these plans offer services like account creation, multirole C-class IPs and other services which can help you in improving your SEO strategy. SEO hosting allows you set up multiple websites on just one account with each one having its initial Class C IP address. The offered features will vary with your chosen SEO provider, but here are the most common ones. SEO hosting can be regarded as an investment that will provide you significant returns in the time to come. Your website will soon become like an asset and will help you in increasing your sales, and thereby earning more profits. Do you find targeting your keywords troublesome? An SEO hosting plan can help you with this, and improve your website ranking. Optimize with any number of keywords that you like and you will acquire higher ranks for all of them. As already mentioned, an SEO hosting plan can help you in building your brand awareness. When you acquire a higher rank, more people will know about your business and you will have more sales. You can even create multiple websites and get higher ranks for all of them. An SEO hosting plan makes it easy for you to manage your optimization strategies. You are in control and you can modify a number of factors without the need to abide by terms and conditions of other people’s websites. As already mentioned, an SEO hoisting plan can help you increase your rank for a certain keyword. Generally, there are additional charges for every keyword, which may incur a significant amount of costs. However, factor in the fact that you will get a position towards the top on the search engines’ result pages, this will not be much of an issue. 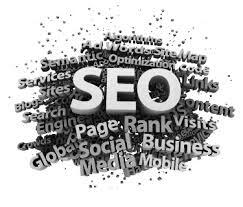 The same will be the case if you can manage your SEO strategies all by yourself. Then also you will find the cost too much. If you make use of black hat techniques, Google can penalize you. You can prevent this if you choose a reputed hosting provider. This entry was posted in SEO.